What makes this recipe so easy? Well, it entails combining bread flour, yeast, salt and warm water. You can then add your choice of cheeses and dried herbs. Mix it up and let it rest with the help of your Instant Pot. After that, the dough rests a bit at room temperature while the oven preheats. The last leg of the process is just baking the dough in less than an hour. So tackle that yeast and get to baking! Combine all the above ingredients in a large bowl. The dough will be shaggy and messy, which is exactly what you want. Transfer the dough into the IP. Press YOGURT on the IP. Press ADJUST on the IP until display reflects 24:00 and LESS. Use the "-" on the IP until display reflects 3 hours. Secure the lid of the IP. No need to set the lid to either sealing or venting. No pressure cooking will be involved in this recipe. The display will reflect 3:00 (the number of hours you initially set) and will begin to countdown to 0 minutes. When the IP beeps after proofing your dough for 3 hours, place a five-quart dutch oven into your oven and preheat to 450 degrees for 30 minutes. Meanwhile, transfer your proofed dough onto a parchment lined baking sheet and cover with a tea towel. 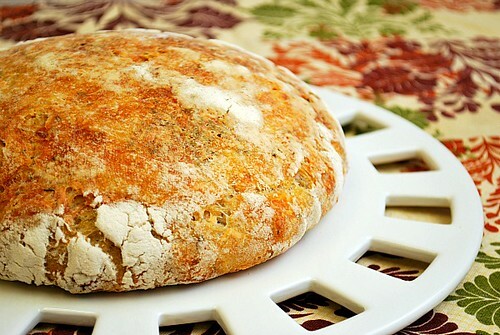 Allow dough to rest at room temperature while your oven and dutch oven preheats. After your oven has preheated for 30 minutes, the dough should have doubled in size. Carefully remove the pot from oven. Holding the parchment your dough was sitting on, turn over and dump the dough into the hot pot. Shake the pot to even the dough out. Cover and bake the bread for 30 minutes. Uncover the bread and bake for another 15-20 minutes or until the crust is beautifully golden and middle of loaf is 210F. I only have a 6 qt. is that big enough? I don't have a yogurt setting on my IP. Suggestions? only 1/4 tsp instant yeast? if you were to proof dough in the oven, what temperature do you use? If proofing in the oven, I preheat my oven to 200 degrees... and then turn it off. I place the bowl with my dough in the preheated oven, covered with a tea towel. Ideally, the best proofing temp is around 160-200 degrees. Does the tea towel need to be damp? Do you spray the Dutch oven? The yogurt setting has four temperatures. Low, med, high, and custom. Which temperature setting do I use? I don't have a dutch oven. Do you think I could use a pizza stone? I'm guessing the hot pan is important. Any covered bakeware that is able to withstand the high temperature can be used. A pizza stone is not covered, which will affect the bread texture. Having the dough covered allows it to have the correct crisp crust and tender crumb on the inside. Can I put baking sheet in IP so that the transfer process to the oven goes easier? I haven't found a baking sheet that could fit in the IP... and ideally you will need to use a piece of covered bakeware to bake the dough in the oven. To make it easier to transfer to/from the IP, you can place a piece of parchment paper in the IP and/or the covered bakeware. 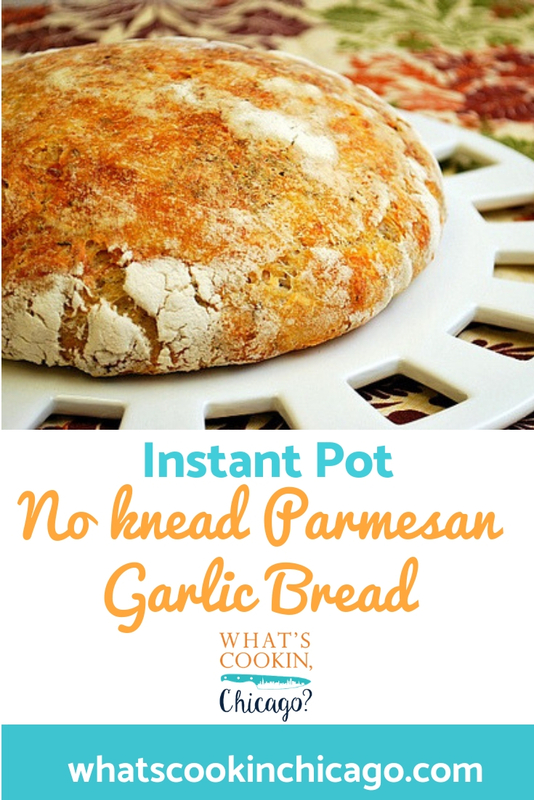 Could this be converted to non Instant Pot method but just proofed and baked in the oven?? My dough was very sticky. It stuck to the instant pot and the parchment paper. Did you spray anything with cooking spray or lightly coat with oil?